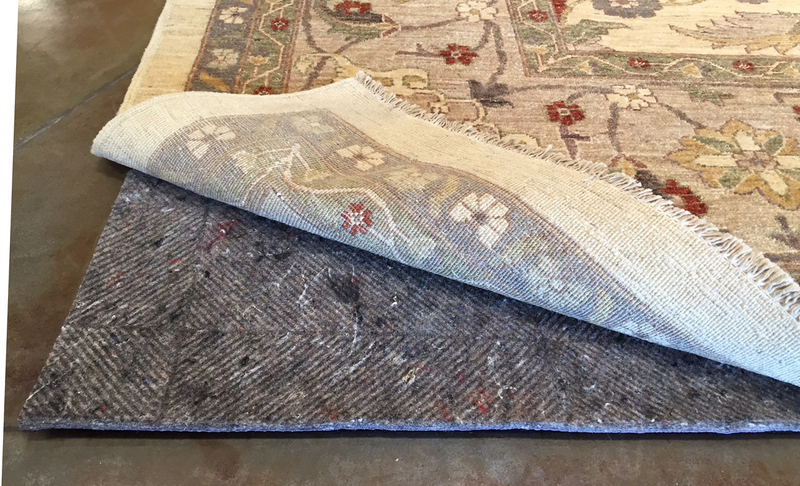 We highly recommend using quality rug pads underneath your rugs for all flooring surfaces. At Azia, we sell the highest quality padding for rugs sitting on top of hard and soft surfaces. Our pads are all solid surfaced (no hollow waffle grids). Solid surface padding will prevent dirt and sediment that passes through your rug from harming the surface of your flooring. Our pads are guaranteed not to scratch, discolor, or stick to your hardwood floors. Pads are usually in stock and will be cut on site to your specific size needs. Samples are available in our showroom.